Ketchum pitched but has not advanced to the final round of IBM's global PR review. ARMONK, NY: Ketchum’s 17-year relationship with IBM has ended, after the firm was eliminated in the first stage of a global agency review called by newly installed chief communications officer Ray Day. As revealed exclusively by PRWeek on Tuesday, the review kicked off March 9; IBM expects to make final decisions by the end of the month. All of IBM’s 20 agency partners, including long-standing incumbents Text100 and Ketchum, were invited to pitch. Text100 decided not to pitch. Ketchum participated in the initial written stage but was not advanced to the next round. "Yesterday we learned that we did not advance to the second round, so our long relationship will come to an end," Ketchum CEO Barri Rafferty and chairman Rob Flaherty said in a blog post. "Ketchum could not be prouder of a client relationship that helped reposition IBM several times in the marketplace, from a focus on computer hardware to software and services, and now to a cognitive solutions and cloud platform company." Day wants to create a fully integrated "blended team" comprising his in-house talent and its agency partners. Ketchum and Text100 have worked with IBM since 2001. Text100 CEO Aedhmar Hynes said in a blog post on Tuesday that stepping away from her firm’s 17-relationship with IBM "wasn’t an easy choice." She added her firm is "proud to have played a small part in [IBM’s] history" and is "bullish on the future for IBM." Day told PRWeek on Tuesday that he plans to have a couple of anchor global agencies to provide widespread comms support, augmented by specialty agencies for business areas such as health and various tech specialisms. Former Ford comes lead Day joined IBM last December, succeeding IBM‘s longstanding marketing and communications executive, Jon Iwata. Earlier in March, IBM brought on Edelman's Erin Roche as VP of communications for systems and Collective Intelligence’s Kevin McDermott as VP of strategic and executive communications, plus two other execs. 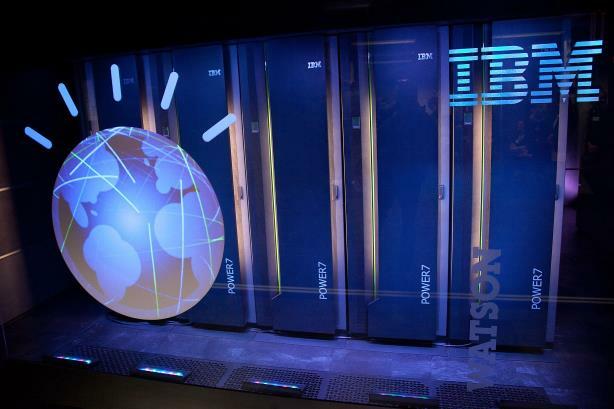 IBM’s chief comms officer position has seen turnover in recent years. Ben Edwards held the comms head role in 2013 and Mike Fay succeeded him in 2014. In April 2016, IBM hired Andy Whitehouse to the role of VP of global communications and CCO, but he departed in February 2017. At that point, Iwata took on the specific role of comms head again, before Day succeeded him in December.